Jennifer Lertola is a PhD candidate (Galway Doctoral Scholar) in Italian Studies at the National University of Ireland, Galway. She holds a BA in Foreign Languages and Cultures – English and Spanish – from the Università degli Studi di Genova (Italy) and an MA in the Teaching Italian as a Foreign Language (Master DITALS) from the Università per Stranieri di Siena (Italy). She has been teaching Italian at the National University of Ireland, Galway since 2006. 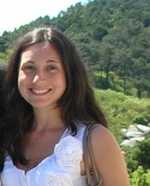 Her main academic interests are related to Audiovisual Translation and Second Language Acquisition. Her doctoral research focuses on the effects of the subtitling task on vocabulary acquisition.